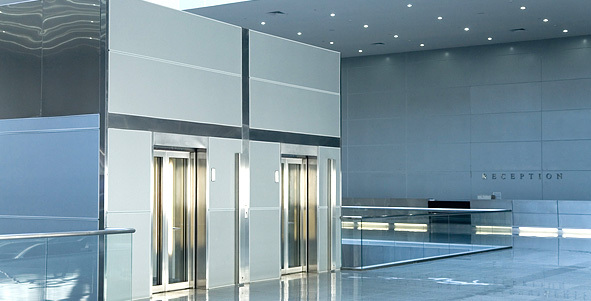 As a leading lift company with over 15 years’ experience within the industry, Tower Lifts are the number one choice for all your lift construction requirements. We’re proud to provide our clients with a concise, full service, lift package. We project manage each build from design, through manufacture and installation to final handover. Our team specialise in the installation of custom and bespoke lift projects such as passenger lifts, dumbwaiters, platform lifts and car lifts with experience in the delivery of derogation approvals and certification of lifts with reduced pit and headroom restrictions. Examples of our installations can be found in public, private and retail sectors across the country and we are currently raising the standards in platform lift design with our new integrated lifts designed to seamlessly integrate into different surroundings. 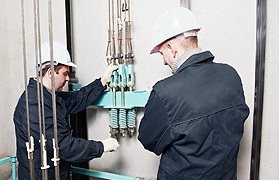 Our factory trained engineers have over 15 years’ experience in lift design, installation, and maintenance. Our team are able to service, maintain and repair a wide range of products, including lifts not originally installed by us. 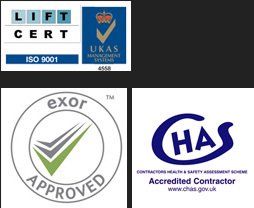 We are a ISO9001:2008 Lift Cert and UKAS approved company adhering to all Lift Regulations.